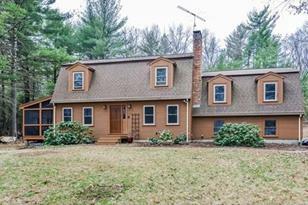 Welcome home to this expanded Gambrel Cape abutting the Wrentham State Forest for the utmost in privacy! Spacious eat-in kitchen with gas cook top, center island, stainless steel appliances and huge picture window to bird-watch while having your morning coffee. Over-sized attached family room with new wall to wall carpeting, skylights and wood stove is perfect for game days. Wide pine flooring in kitchen, living room and dining room. Entertain your guests in your freshly painted dining room that leads out to a screened porch. Partially finished basement offers office, music or play space. Heated two car garage with plenty of storage space. Many updates include fresh paint both inside and out, newer windows, new "Weil McLain" natural gas furnace (converted from oil), and new toilets. 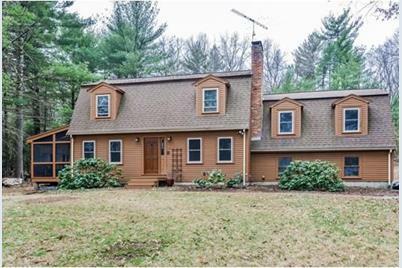 Perfectly located only one mile to Wrentham center and elementary/high schools, a two mile radius to major shops and outlets. A short drive to major highways, Gillette Stadium and commuter rail to Boston. 178 Beach St, Wrentham, MA 02093 (MLS# 71972797) is a Single Family property that was sold at $435,000 on June 01, 2016. Want to learn more about 178 Beach St? 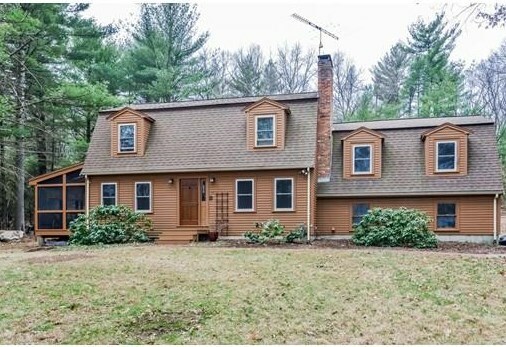 Do you have questions about finding other Single Family real estate for sale in Wrentham? You can browse all Wrentham real estate or contact a Coldwell Banker agent to request more information.